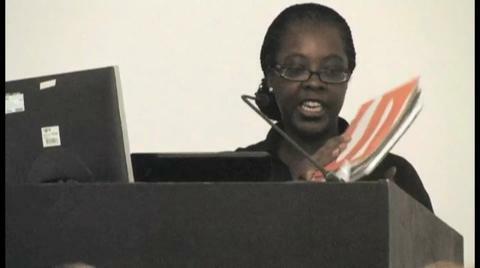 Curating in Africa Symposium, 2010. video coverage of presentations by Bisi Silva, CCA Lagos (Lagos, Nigeria). Riason Naidoo, South African National Gallery (Cape Town, South Africa). Curating in Africa Symposium, 2010. video coverage of the presentations by Meskerem Assegued, Zoma Contemporary Art Center (Addis Ababa, Ethiopia) and Abdellah Karroum, Apartment 22 (Rabat, Morocco). The Curating in Africa symposium, organised by Kerryn Greenberg (Curator, International Art, Tate Modern) in collaboration with Tate National, and funded by the World Collections Programme (WCP), brought together seven leading curators involved in some of the most active areas of artistic production in Africa to address the achievements of and challenges facing curators working in Africa today.